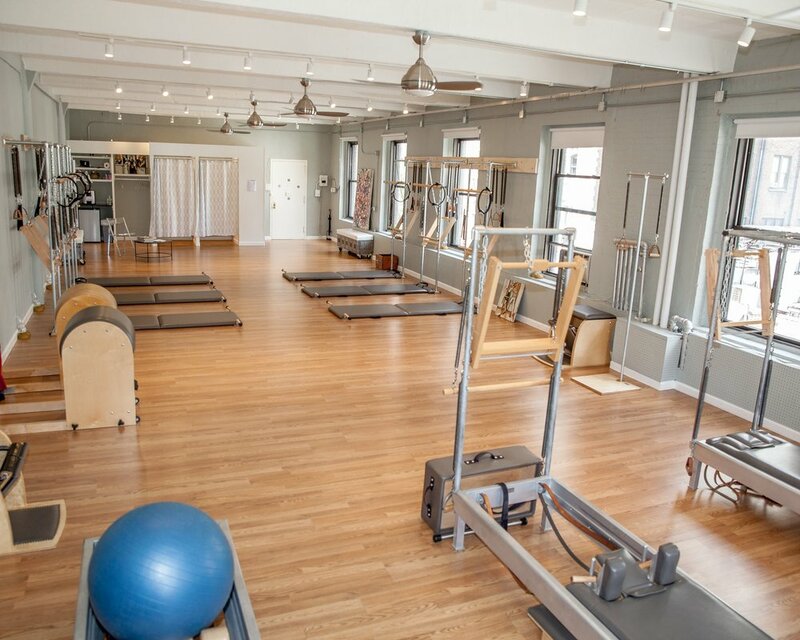 NYC Pilates is a state-of-the art Pilates studio with top-of-the line equipment, experienced instructors, abundant light, high ceilings, and wood floors. This warehouse-like space is in the heart of the Upper West Side, caddy-corner to Zabar’s on W 80th, and just a block from the 79th Street subway. At NYC Pilates, Pilates is our anchor and wellness is our theme. We have top-of-the-line Pilates equipment for private and small group classes on Towers, as well as plentiful space to host Yoga, mindfulness, and other premium workshops such as MELT, Yamuna, Feldenkrais, and more! Click here for an up-to-date class and workshop schedule. We serve a range of ages and abilities with classes geared towards every age group – including but not limited to: moms and babies, tweens and teens, and the geriatric community. One of our regular clients is in her mid 90s and didn’t start Pilates until she was in her mid 80s! Go Jennie!